Known primarily as the widow of the civil rights leader Medgar Evers, Myrlie Evers-Williams has proven to be an influential African American civil rights activist in her own right. Myrlie Louise Beasley was born in Vicksburg on 17 March 1933. Her parents were Mildred Washington Beasley and James Van Dyke Beasley, but she was raised by her grandmother, Annie “Mama” McCain Beasley, and her aunt and namesake, Myrlie Beasley Polk. Myrlie Beasley began learning to play the piano at age four and started giving piano lessons to other children at age twelve. She enrolled at Alcorn Agricultural and Mechanical College in Lorman intending to pursue a career as a pianist but changed her major to education and minored in music. In 1950, on the first day of her freshman year at Alcorn, Beasley met Medgar Evers, who was two years ahead of her at the school. They married on 24 December 1951 and spent another year at Alcorn while Medgar finished his degree. Myrlie Evers hoped that they would move to Chicago, but her husband did not want to leave Mississippi, so they moved to Mound Bayou, where he accepted a job at the Magnolia Mutual Insurance Company and she had a summer job as a secretary. She planned to return to college in the fall, but a severe illness both terminated her first pregnancy and hospitalized her, depleting the money set aside for her college. They remained in Mound Bayou and had two children, Darrell Kenyatta and Reena Denise. In December 1954 Medgar Evers became the Mississippi field secretary for the National Association for the Advancement of Colored People (NAACP), and the family moved to Jackson early the following year. Myrlie Evers enjoyed the city’s African American community despite threats to her husband’s life, and in 1957 the Everses reached the landmark of owning their own home—and a piano. Myrlie Evers worked part time as Medgar’s secretary, chauffeur, and hostess, a partnership seeking voting rights, equal justice, and economic equality for blacks in Mississippi. As Medgar Evers’s civil rights activities attracted more attention, Myrlie Evers came increasingly to fear attacks by white extremists. She became afraid to let her children play outside or answer the telephone, and her marriage suffered. In 1959, she took the children and left for a few days. The Everses reconciled and worked to separate their private life a little more from the civil rights movement and to let Myrlie step out of Medgar’s shadow, and she took charge of the family finances so that she would be prepared if something happened to her husband. Their third child, James Van Dyke, was born in 1960. In the early 1960s the fear worsened. Myrlie and Medgar Evers slept with guns by their beds and taught their children what to do if the house were attacked. Policemen trailed Myrlie Evers whenever she drove anywhere, and a Molotov cocktail exploded in their carport. On the evening of 11 June 1963 Myrlie Evers and her two older children watched Pres. John F. Kennedy’s civil rights speech on television. Shortly after midnight, they heard the sound of Medgar Evers’s car in the driveway, followed by the gunshots that killed him. After a 15 June funeral at Jackson’s Masonic Temple, Medgar Evers was buried at Virginia’s Arlington National Cemetery on 19 June. Myrlie Evers subsequently slipped into a deep depression, though she remained outwardly strong, giving speeches and raising funds for the NAACP. In July 1964 she moved her family to Claremont, California, and enrolled at Pomona College. She continued to work for the NAACP and published a book, For Us, the Living (1967), while earning a 1968 bachelor’s degree in sociology. Evers held a variety of jobs, including assistant director of planning and development for Claremont College and director of community affairs for the Atlantic Richfield Company. In 1976 she married labor and civil rights activist Walter Edward Williams. Throughout this period she remained heavily involved in politics and the NAACP. In 1989, with the help of Jerry Mitchell of the Jackson Clarion-Ledger and Morris Dees of the Southern Poverty Law Center and with the support of her husband, Evers-Williams persuaded prosecutor Ed Peters to reopen the case against Byron De La Beckwith, who had been charged with Medgar Evers’s murder in 1964 but had not been convicted. Prosecutors led by Bobby DeLaughter spent four years preparing for the new trial, and when it began Evers-Williams was the first witness. She and her two oldest children were present when De La Beckwith was found guilty on 5 February 1994. On 19 February 1995 Evers-Williams was elected chair of the NAACP, becoming the first woman to head the organization. She stepped down in 1998 to focus on establishing the Medgar Evers Institute, which works to preserve and advance Medgar Evers’s legacy. 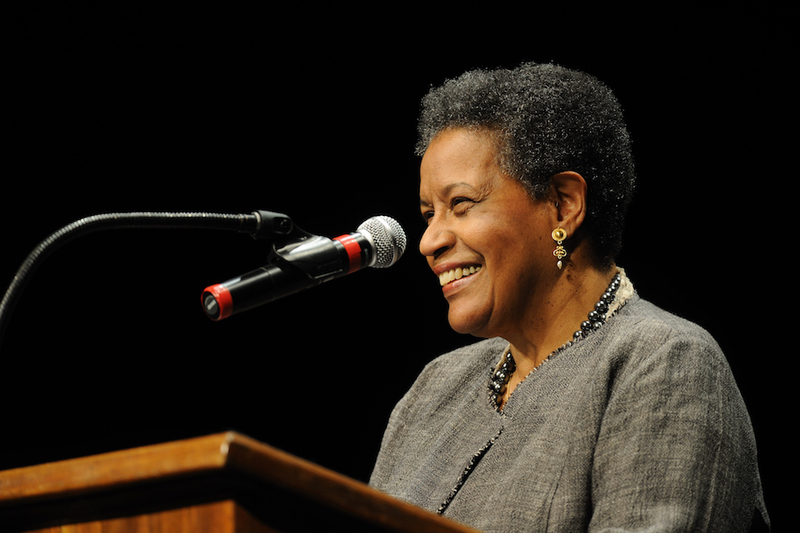 In 2012, in anticipation of the fiftieth anniversary of his death and in recognition of Myrlie Evers-Williams’s work, the organization’s name was changed to the Medgar and Myrlie Evers Institute. In 2013 she delivered the invocation at Pres. Barack Obama’s second inauguration. In 2018, at age eighty-five, Evers-Williams announced she was retiring from traveling and public speaking.